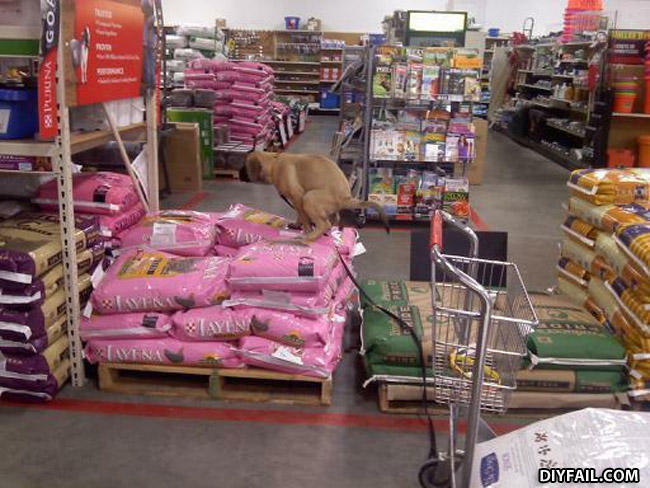 The real fail is that the owner was taking a picture and not dealing with their dumbass dog. That's a damn health code violation. What an asswipe! (the fool taking the picture) My guess, he deliberately pointed the dog up there. ...But how do you really feel about the food? Try our new lay away plan! They'll just scoop it up, seal it in a can and sell it as cat food.